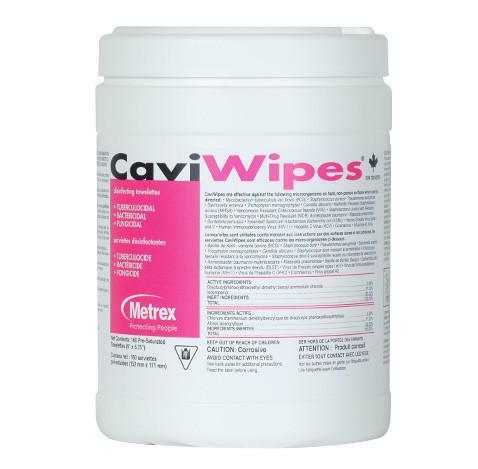 Metrex Research Corporation CaviWipes, 160 Wipes, 12 canisters/cs. 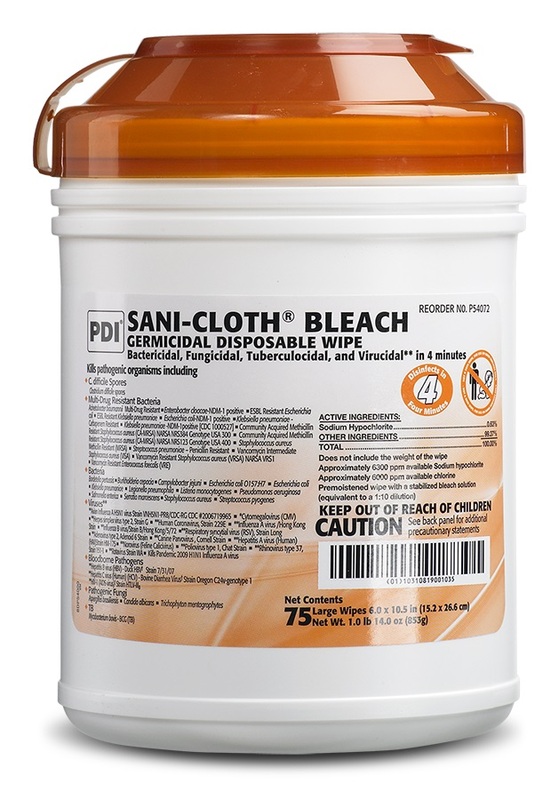 A convenient, ready-to-use, intermediate-level disinfecting wipe available in two sizes to fit all your needs. Towels stay fully saturated and will not dry out during use. Effective against TB, HBV, and HIV. 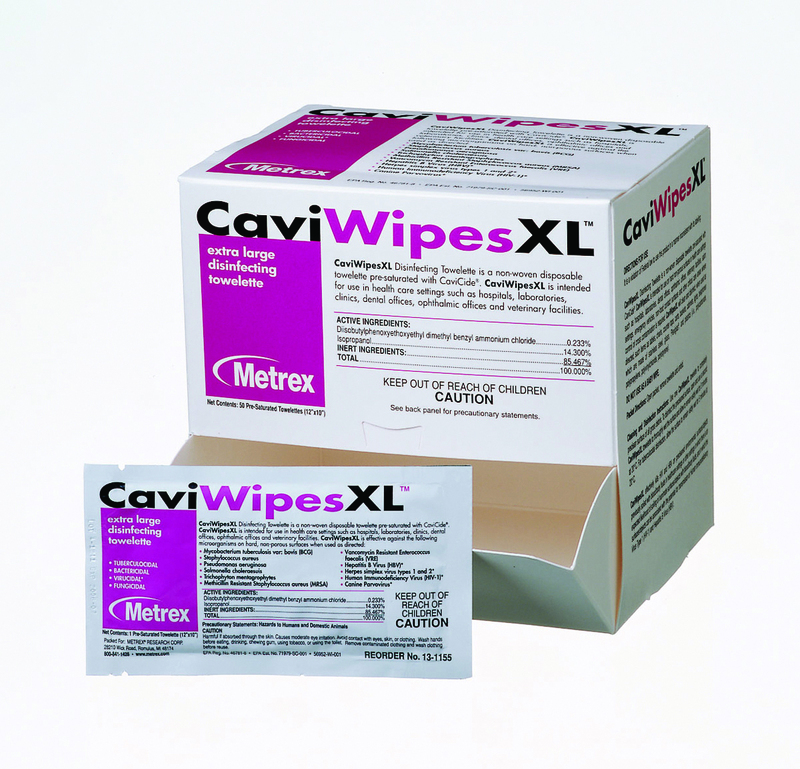 Towelette and CaviCide in one. 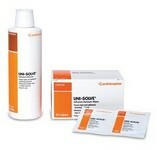 For use on nonporous surfaces. Sturdy and durable, nonwoven towelette will not bunch up or tear during use.